Update March 2, 2017: It seems things are still not alright at Crytek, with employees claiming they are yet to be paid for their work this year. In a post on Reddit, one anonymous Crytek employee claims wages from January still haven’t arrived, and there’s no word at all on February’s. In fact, the last salary to be paid on time was April 2016. It’s got steadily worse since. Can’t face Warface? Here are the best shooters on PC. According to the employee, May 2016’s salary was nine days late, June’s was two weeks late, August was slightly more, September was a month late, and October’s wage didn’t arrive until December 17. In mid December there was a company-wide meeting, in which promises were made for things to begin stabilising, with the company now focusing on Crysis, CryEngine and VR. Then, come January, people were made redundant and Warface, Crytek’s free-to-play shooter, was apparently sold off to a company in Russia. “During this time, [Crytek founder] Faruk Yerli is still driving his new Lamborghini to work while the employees [are] in the supermarket looking for the cheapest lunch because they do not know if they will be paid in time for the next rental,” says the anonymous developer. According to them, the engine creative director left last year, the director of production went in summer, the audio director went in autumn, the engine business directo went in February, and the executive producer of Crytek’s VR titles leaves some time this month. Update February 1, 2017:Crytek are to lay off another 15 people, this time from their main office in Frankfurt, Germany. Those being made redundant are part of the company’s publishing and marketing team. According toEurogamer’s report, Crytek are currently focused on scaling down the business to focus on game development and technology, hence why the layoffs are from the marketing side. Eurogamer’s source says morale is currently low at the company, and they also claim that some December wages have gone unpaid. Accusations of wages being withheld flew around in December last year, as you can read in the original story below. 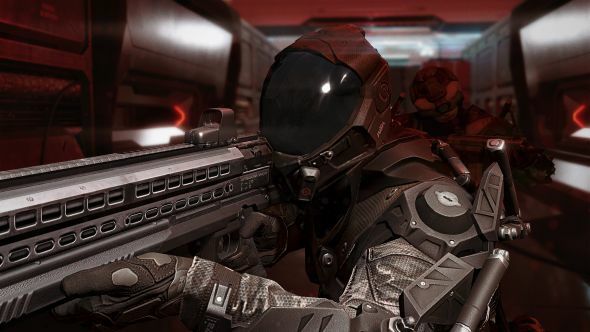 Work is currently focused on free-to-play shooter Warface and licensing out CryEngine, says Crytek co-founder and managing director Avni Yerli. “Unfortunately, one of the inevitable effects of this process has been the redundancies we are announcing today,” Yerli said. “We are extremely grateful for the hard work and dedication of each and every person at Crytek, and the team members we now have to say goodbye to will receive comprehensive support that reflect that gratitude. Crytek’s issues seem to have come to a head as they announce in a press release today that five studios – Bulgaria, China, Hungary, South Korea and Turkey – will no longer be Crytek studios. Presumably some will be shut, while others may be transferred wholesale to new studios akin to the Dambuster Studios deal in 2014. Outside the business talk, that likely means more games from Crytek, and they say as much themselves that Cryengine will be a large part of their business going forward. As for the cashflow issues, Kotaku report that sources at the studios say they’ve now been paid – for October. They also report that Crytek staff believe the company has sold off Warface and its sequel to Mail.ru, a Russian publisher. Update December 15, 2016:A former Crytek employee plans to sue the studio for months of unpaid wages, using crowdfunding to pay his legal fees. Following rumours started on Reddit and Imgur over the weekend that German studio Crytek had failed to pay its own staff, possibly for months on end, one former employee has launched a crowdfunding campaign to raise the legal fees he needs to sue them. Ludvig Lindqvist is an FX artist who worked at Crytek’s main studio in Frankfurt, Germany. In his GoFundMe campaign page, he alleges “Crytek has failed to pay salaries on time starting May 2016,” providing a screengrab of his last four salary statements as proof of delayed or absent payments. This is only the latest of several testimonies from Crytek staff that they haven’t been paid on time for months (see original story, below). Lindqvist joined Crytek in March 2015, but quit last week after two months of waiting to be paid. His funding target is€20,000 (£16,704, or $20,869), and he promises that any excess raised will be donated to other Crytek employees to help pay similar legal fees, or to videogame-related charities such as Special Effect and Able Gamers. Crytek did not respond to our original request for comment, but the evidence is piling up that something is seriously wrong. Original story December 12, 2016:Crytek, the German developers of GPU-melting shooter series Crysis, have allegedly failed to pay some of their employees for as many as six months. If true, this suggests the company is (once again) in serious financial trouble. A report by Let’s Play Video Games appears to corroborate this. According to sources who approached them and “have been privately verified by LPVG”, Crysis’s Black Sea studio in Bulgaria has not paid any wages for the past three months, and may in fact be up for sale, with a “big name company” in talks to acquire it. LPVG’s sources suggest a simple explanation: Crytek have failed to make a profit for some time. One commenter on Redditargues mismanagement is the reason: Too many projects have been canceled, and there’s been a failure to capitalise on popular IPs such as TimeSplitters (and, indeed, Crysis). Then there were overcommitments to free-to-play (Warface), and reckless pushes into VR (Robinson: The Journey, The Climb) which never looked likely to turn a profit in the first place. Further to that, Crytek admitted that in 2014 they were struggling to impress people with graphics as they used to, and it probably doesn’t help that making games for the top end of the PC hardware market is both expensive and caters to a limited audience. On late wages, “this has happened in the past a few times,” says the original Reddit/Imgur post, “but never for this long.” Crytek’s UK studio was sold off to Deep Silver in 2014 following a staff walkout over unpaid wages (they have since released Homefront: The Revolution as Dambuster Studios). We’ve reached out to Crytek for comment.